Modern Wild Man is a place to find stories shared from the wild. Follow along with me and my wild life style from field to paddle. Thanks for stopping by. This past summer was full of wild adventure and wilderness travel. One of my favorite ways to see the wilderness is by paddle, canoe paddle specifically. From a canoe you can travel efficiently and comfortably in remote waters, providing a sort of segway to simpler time and place. One of my favorite places to paddle and explore is the Boundary Waters Canoe Area (BWCA) of the far north United States. 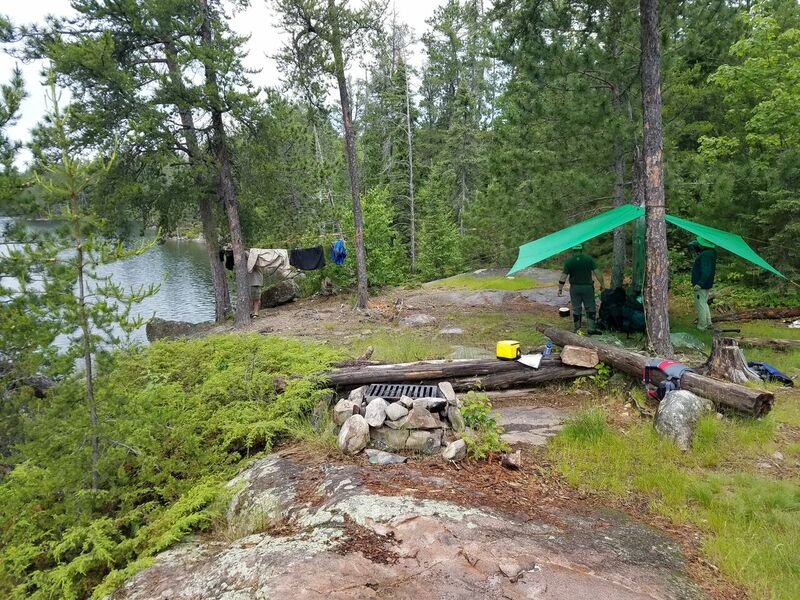 The BWCA is a magical place full of pristine water, clean air and boundless wilderness. Time spent in the north woods makes a man's soul spring to life and offers a firm grasp on what is real and timeless away from a reality built by men and machines. There is a purity there that can only be found in unspoiled wilderness, the earth as God built it. Finding a place among a vast wilderness to camp and cook and watch and listen and to know that none of it depends on men or tools or money is both humbling and reassuring. This last trip to the north woods and BWCA was one of many for me. I spent time there as a young man: learning wilderness travel, camping and finding oneself. I have paddled the north as a boy, as a man leading boys, in fellowship with friends and with my father. The north woods continually calls me back. Each time I visit, I find myself planning my next trip before the last one has ended. Evenings in the north woods on a distant lake far from paved roads and power lines and listening to the call of the northern loon bring thoughts and emotion out of a man's conscience and into ink stains on paper. One of the easiest places I've found to write and put down clear thoughts from my hand is by fire light in the north woods. Modern Wild Man at a wilderness BWCA camp. The north woods calls to me with the soft voice of my mother, a voice I have not heard for years since her passing, but when I am in the northern wilderness surrounded by silence her voice is clear. Gently calling me, whispering to my soul, the lake country of the north sings its own song that is like none other I have known. The smell of the northern pines and fir trees cleans a man's resolve like a sort of astringent, and adjusts perspective. The lake country is made up of elemental blocks of stone and soil, water and timber, air and sun and wind and rain; it is nearly impossible to not feel and find a root and nourishment to oneself. Far from the reaches of concrete and steel, hidden away from roads and bridges there are deep lakes filled with the purest waters melted from ancient glaciers. Vast lakes sometimes taking days to paddle in length, fill the landscape and somehow hold up travelers as they slide slowly along the top of another world, suspended in a gliding canoe like a cloud in the sky. Shouldered with sharp granite cliffs, the lake edges are varnished with majestic old growth conifer forests. Fog hangs heavy on a crystal mirrored lake. The deep water sits silently on a breathless morning, the surface tension pulled tight like a bedsheet at the corners. The first breathe of a sunlit breeze ripples and dances across the glass of morning water. Sunrise in the Boundary Waters and a hot cup of coffee boiled on a wood fire in a camp kitchen is a cherished time. 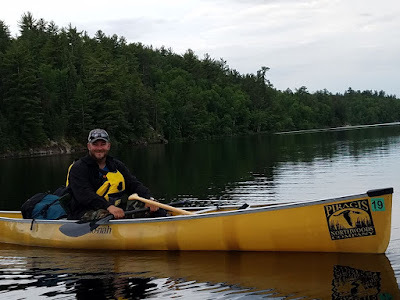 Wilderness travel and time spent in the BWCA is bigger than any post or online blog, but I hope in the next few Boundary Waters Volumes the Modern Wild Man can bring you a sense of time spent and cherished in the north woods. Two canoes resting along a beautiful wilderness lake. I'm a husband, and father of two amazing boys. An avid outdoorsman, always looking for my next outdoor adventure.